Medical Malpractice Help » Medical Malpractice Causes » Legal Information » How Do You Investigate Your Medical Malpractice Case? A lawyer will investigate your medical malpractice case and collect evidence proving your right to damages. How Does a Lawyer Investigate a Medical Malpractice Case? How Will My Attorney Obtain Documents for My Case? How Will a Lawyer Review My Medical Records? What Is the Investigation Process Like? Do I Need to Work With a Lawyer to Investigate My Case? If you believe you might have been the victim of medical negligence, you could have the basis for a medical malpractice claim. A lawyer can investigate your medical malpractice case, following the rules of evidence and civil procedure to obtain documents and records. If an attorney can get convincing proof, you could recover damages. 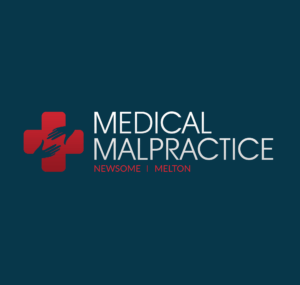 At Medical Malpractice Help, we investigate malpractice claims from patients across the United States. Call 855-633-2757 to discuss your case with a medical malpractice lawyer. We will ask you what caused the medical negligence that harmed you. Once our lawyers take your case, we will ask you about specific details relevant to your situation. We will also need information about the medical care you received, including treatments, therapies, and doctor office visits. You should also provide details about any hospitalizations, emergency room visits, and surgeries you had during the time in question. Finally, we will ask about your previous diagnoses, surgeries, and treatments that might be relevant to your malpractice claim. After we determine the identity of all healthcare providers and medical facilities involved, we will ask you to sign a form to allow us access to your medical records. The reason your lawyer wants the records. Sometimes a medical facility does not comply with a request for medical records. If need be, we can subpoena your records from the facility so we can move on with our investigation. Some of our attorneys have medical expertise that they use to read and review your medical records. We can also hire outside medical experts when appropriate. When we decide to go forward with a lawsuit, we will have a medical expert certify that there is a good faith reason to believe that the defendant committed medical negligence. Our investigation process will vary depending on the details of your medical treatment and your injury. Here are some examples of how we would investigate a medical malpractice case. Imagine your child had a sore throat and fever, but their pediatrician did not test for strep throat or prescribe antibiotics. Instead, they sent the child home to rest. Your child’s fever spiked, causing febrile seizures, and necessitating an ambulance ride to the hospital. There, your child received treatment from a pediatric neurologist. Healthcare entity that provided follow-up or ongoing medical care. Those in charge of maintaining the operating room. If a medical device or the hip replacement itself caused your complications, we might be able to build a case against the company that manufactured the item. After you complained of an irregular heartbeat, your doctor prescribed medication. However, they failed to warn you about the known risks of the medication, including an increased chance of internal bleeding. You experienced severe internal bleeding and had to undergo multiple blood transfusions while in the hospital for several days. Our attorneys use our many years of experience to gather records correctly so we can present them in court. We understand how to analyze the documents and work with medical experts to prove a medical malpractice case. It is often necessary to take the deposition of various parties in the case. If this is necessary for your claim, we will handle the depositions and ask questions of the testifying witnesses. We can also prepare you to testify, if necessary. The attorneys at Medical Malpractice Help are ready to investigate your case and determine if medical malpractice occurred. Call us at 855-633-2757 today to schedule your free, no-obligation case evaluation.